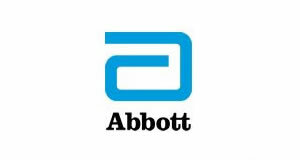 Basildon University Hospital has won a prestigious national award for raising awareness of a complication of diabetes. 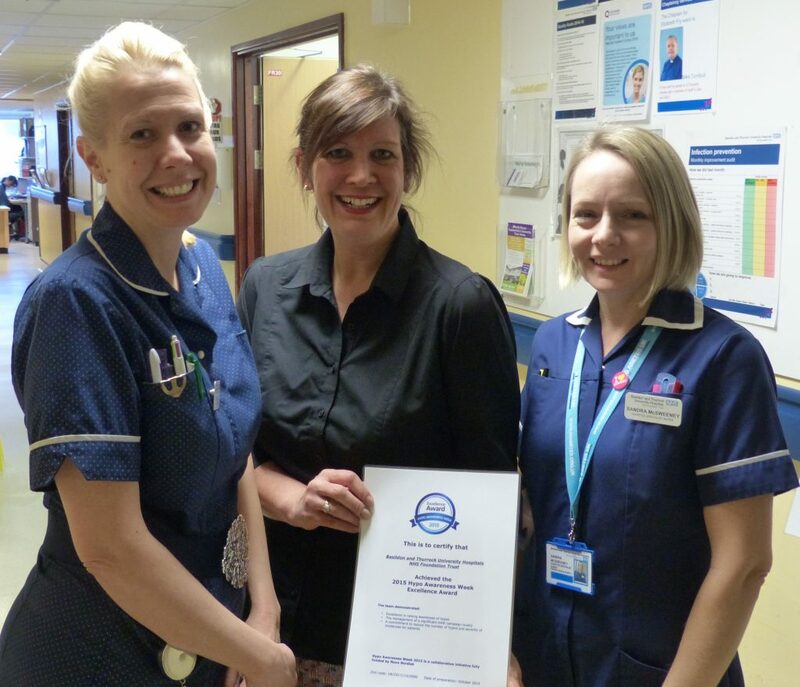 The hospital has been presented with the excellence award for “going above and beyond” and demonstrating “remarkable commitment” during Hypo Awareness Week last month. The Conquest Hospital and Eastbourne District General Hospital diabetes team was highly commended as part of the same prize for their ongoing commitment to the cause. More than 120 hospitals took part in the campaign, which took place between 5 and 11 October and saw diabetes teams across the country raising awareness of hypoglycaemia. 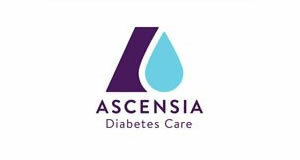 Hypoglycaemic events known as hypos occur when glucose in the blood falls to a low level, and symptoms can include a pounding heart, trembling, hunger, difficulty concentrating and blurred vision. 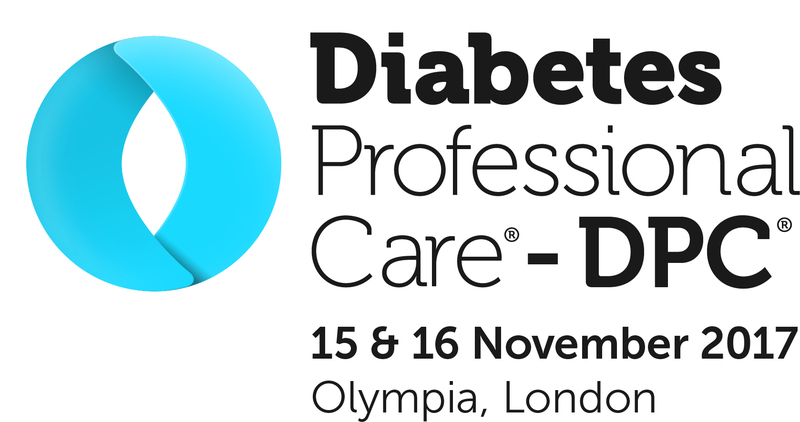 The judging was conducted by Hypo Awareness Week excellence award champion Dr Partha Kar alongside fellow judges Esther Walden, the chair of the Diabetes Inpatient Specialist Nurse (DISN) UK Group, and Simon O’Neill, Diabetes UK’s director of health intelligence and professional liaison. The judges felt that the Basildon team of five diabetes specialist nurses led an interactive campaign and were impressed with their Hypo Audit and how the team incorporated games with prizes as an incentive to take part. Also, a policy update, targeted teaching and following up with communications were all singled out for praise. The diabetes nursing team also manned an information stand in the main reception of the hospital during the week. 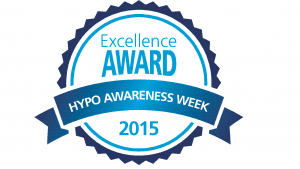 Hypo Awareness Week is an awareness campaign from Novo Nordisk, supported by Diabetes UK. 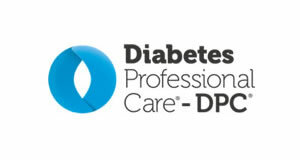 The TALK Hypos campaign was promoted throughout Hypo Awareness Week 2015, which encourages people with diabetes and their health teams to discuss hypoglycaemia, one of the most common complications of diabetes. This year’s TALK Hypos campaign has an increased focus on night-time hypos.